When do you think it’s important to establish a web presence? Before you ever have hope of being published, after acceptance of your manuscript, or when the book comes out? Do you think a blog is sufficient for a web presence? When do I think wanna-be writers should establish a web presence? YESTERDAY. If your plan is to publish, start marketing yourself now. When I have an author tell me he/she has a blog that’s getting 100+ hits every day (that’s unique visitors, not page loads), and hosts a forum with over 100 members, and has a monthly newsletter that her loyal following subscribes to, I sit up and take notice. Anyone who reads your blog (and returns to read again) is a potential book buyer. If they have a relationship with you–even a virtual one–they are more likely to buy your book. 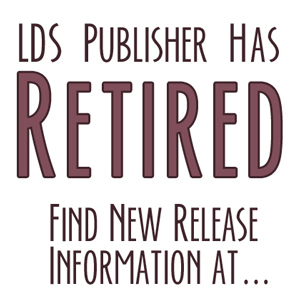 In fact, I was at the local LDS bookstore today and bought two books, neither of which I would have ever purchased had I not already read and liked the authors’ blogs. A blog is sufficient up until your book is accepted. At that point, you’ll want to create an official author website. I just posted a blog about that today, if you’re interested. I have a blog site, but no one reads it. How do I attract an audience? I’ve read your blog, Paul. Well, okay. One person has read it. Thanks for being my faithful audience, LOL.